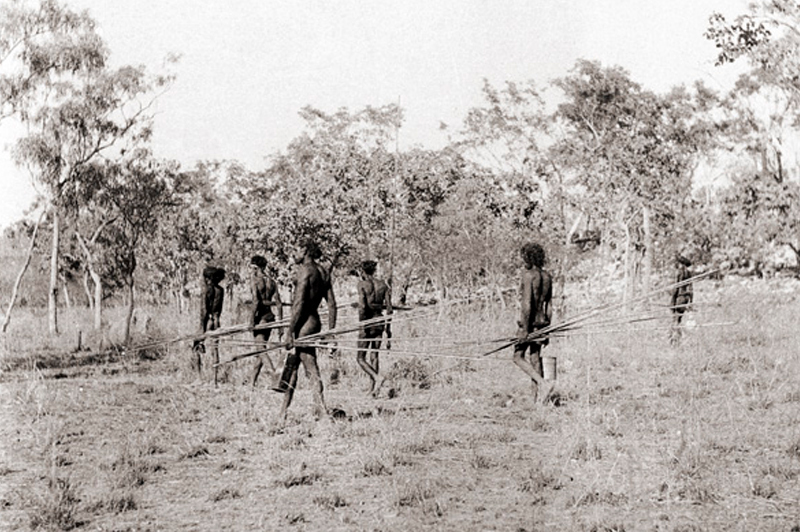 In 1938 Doctor Andreas Lommel, a member of the Frobenius Institute, lived for several months in the Outback of north-western Australia in a region called Kimberley, with the Aboriginal Peoples named Unambal. 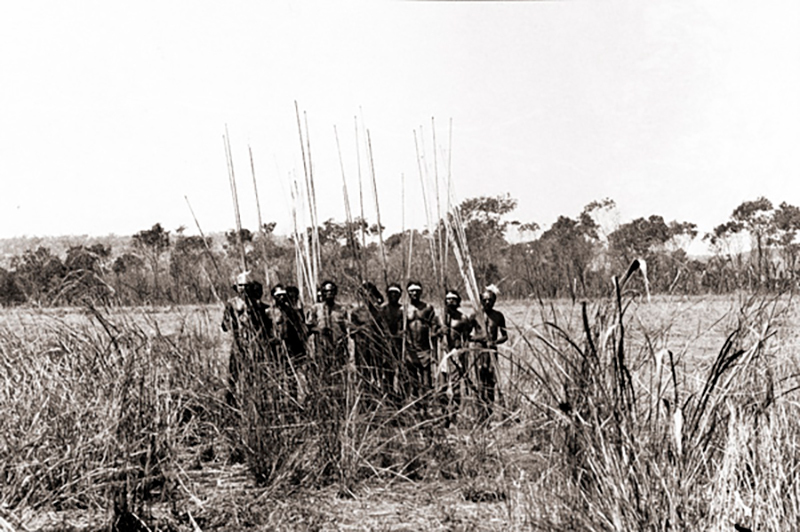 During this time he recorded and photographed the daily life of a hunter-gatherer culture. 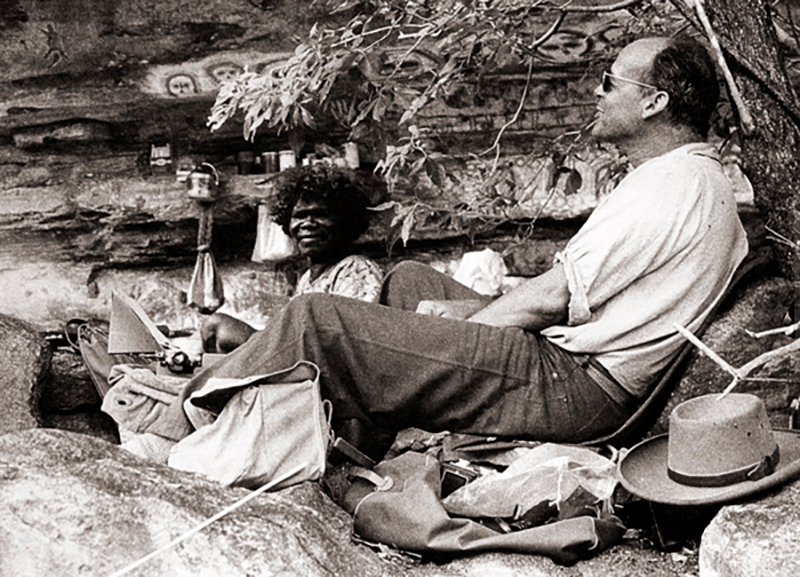 I first met Andreas and Katharina Lommel on June 23rd 1955 when Constable Buster Thorpe and I rode our mules into their camp north of Gibb River Station where they were studying a sacred Wandjina Cave painting. Buster was the resident policeman of Fitzroy Crossing, a one-horse town in Kimberley, north-western Australia. With two Aboriginal trackers, the four of us were on the last mounted police patrol, a 700 mile ride on mules visiting some of the Cattle Stations north of the King Leopold Range. Gibb River Station was our most northern destination and we had come to check up on the activities of two German archaeologists, Andreas and Katharina Lommel. 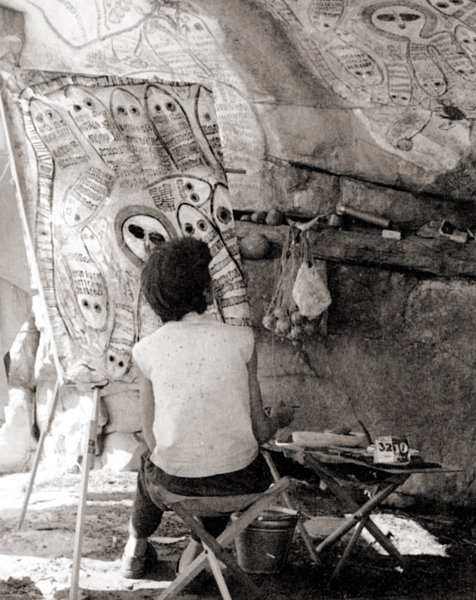 Katharina was an artist, and her job was to trace the Wandjina paintings on the walls of the sacred Aboriginal site, and then copy them onto canvas and reproduce the original colours. In 1955 there was no colour photography. Her paintings can still be seen in the Munich Natural History Museum.